This title was first published in 2001. 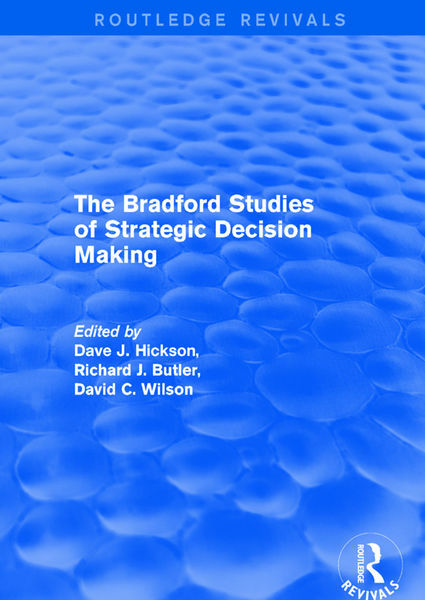 This volume brings together the 25-year output of the longest running programme of research into the making of decisions by top management. It describes and explains the processes of arriving at major decisions and how they are affected by the issue under decision, the form of organization and national differences and then, finally, success and failure in implementation. The programme continues with research on routes in successfully managing implementation. Mathematics Placement and the Transition to Middle School.